If you want make a difference to cats and dogs in need this Christmas, support them by purchasing Christmas Cards from The Lost Dogs’ Home. 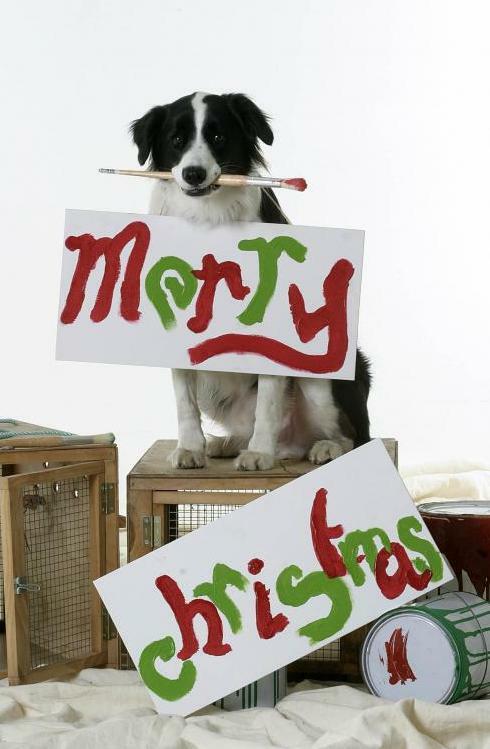 Proceeds from the sale of cards will go towards helping the 6,072 stray, abandoned and injured dogs and cats we expect to take in this Christmas period. Jessie’s dog, ‘Jet’ (pictured above – courtesy of Scott McAllester) went missing for several days before Christmas and thanks to our Ambulance service, ‘Jet’ was rescued and reunited with Jessie. It is with help from our supporters that we can continue to reunite dogs with their owners over the busy Christmas period. This year we are very excited about our huge range of colourful Christmas cards; we believe it is our best range ever! Please support a cause that is dear to your heart, spread our message and bring a smile to the faces of your friends and family with a Lost Dogs’ Home Christmas card. You will help make a real and positive difference to the lives of thousands of unwanted cats and dogs in need. Please visit our online shop and support the Home today.